The micro-apartment concept has been sweeping cities around the world due to overcrowding and rising housing prices. But out of the need to provide solutions for urban housing issues, some designers are looking toward the future. 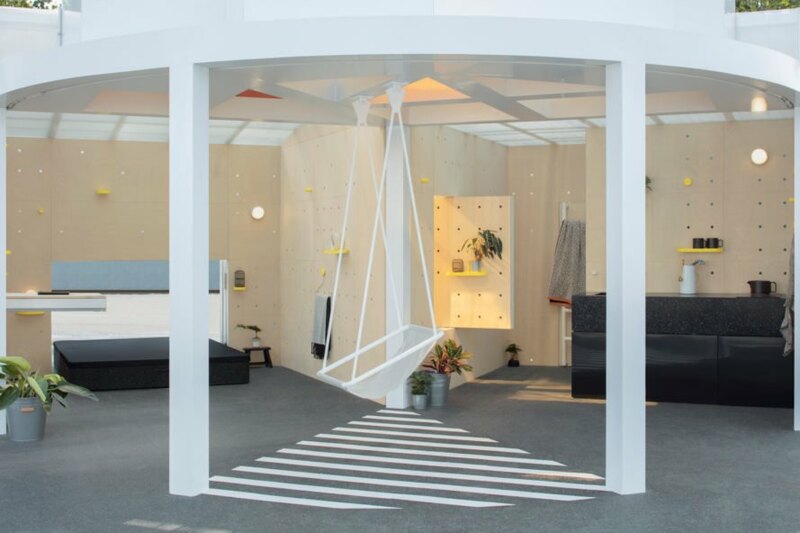 Known for its innovative housing concepts, Penda has just unveiled the MINI Living Urban Cabin, designed to achieve “maximum quality of living within a minimum space” by forgoing walls almost completely. The 160-square-foot, pod-like cabin is a futuristic, circular volume with a sleek, white facade. 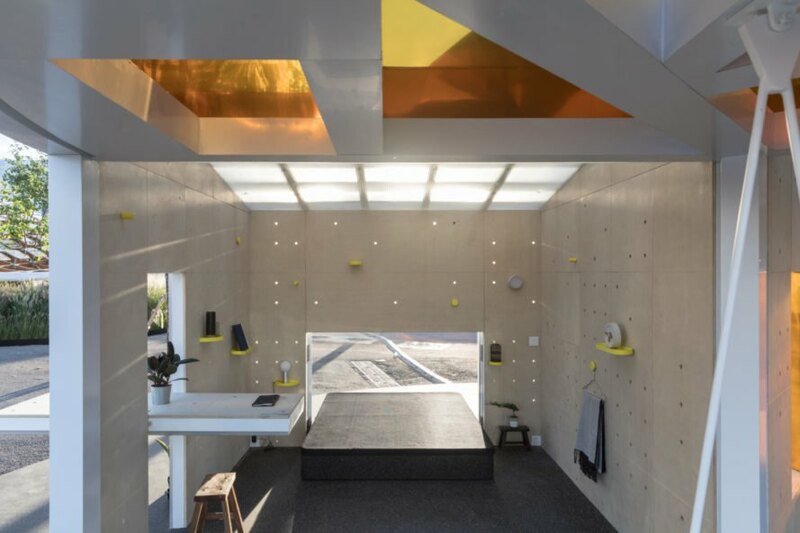 Designed as a temporary living space, the micro-apartment was conceptualized to offer a high degree of flexibility within a compact, open-air structure. 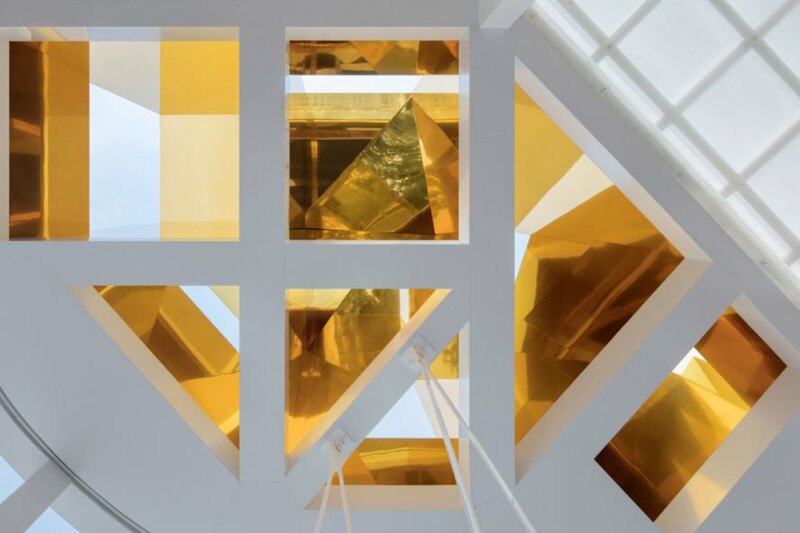 Penda co-founding partner and architect Sun Dayong sought inspiration for the design in Beijing’s architectural history, specifically the city’s beloved hutongs. 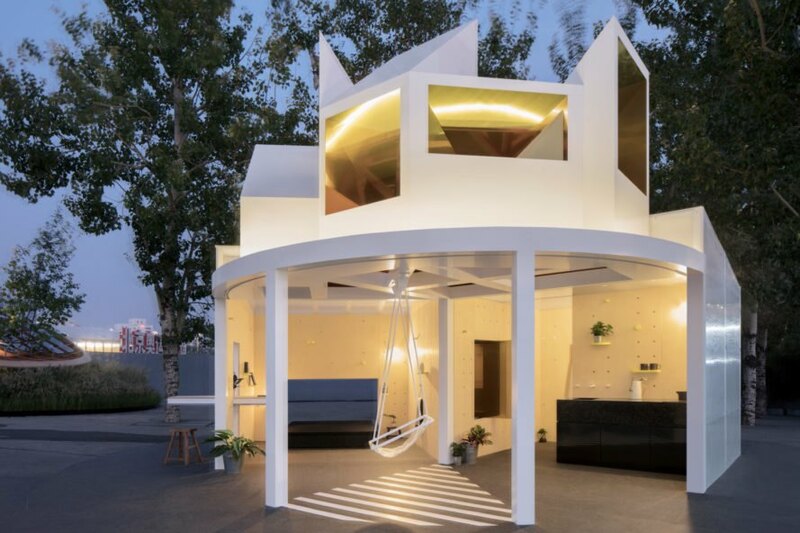 By putting a modern take on traditional Beijing architecture, the open-air cabin is meant to connect the residents to the community. The cabin features various volumes jutting out from the upper layer of the structure. 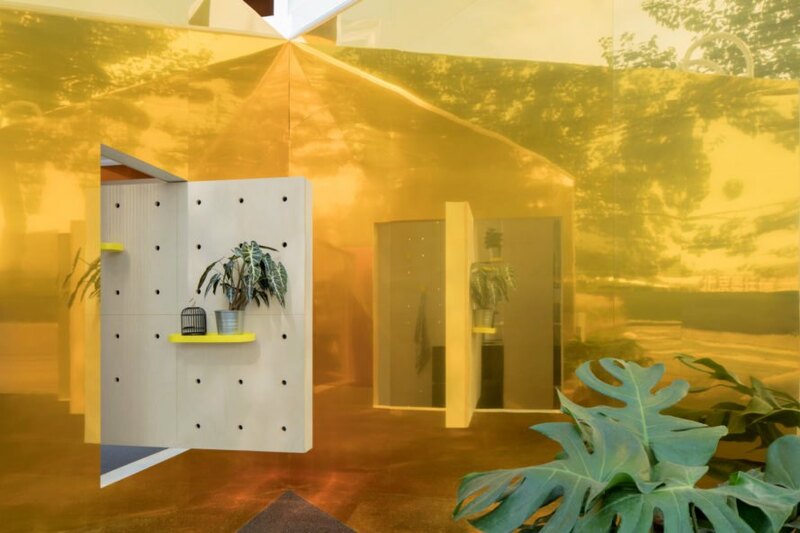 Lined in a reflective gold cladding, these volumes have cut-outs that give the structure a playful, futuristic appearance but also allow natural light to filter into the living space. Inside, the design is divided into two living areas on either side, each separated by thin columns. 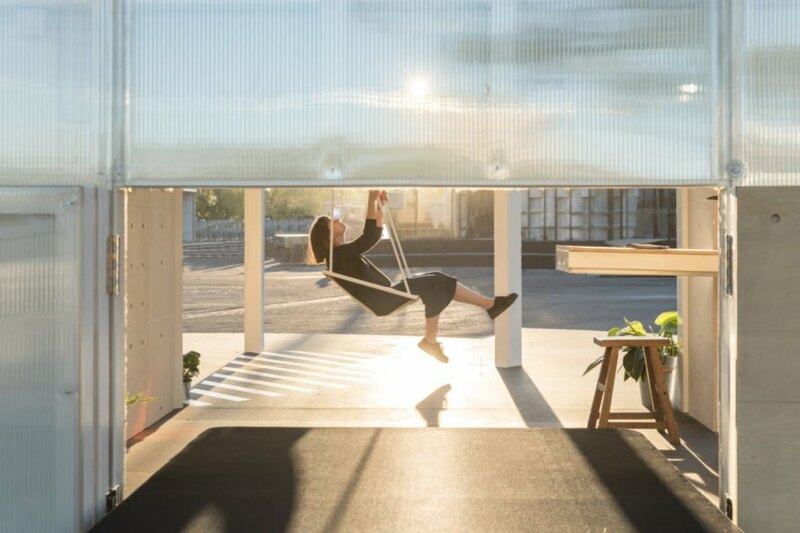 In the middle of the living areas, a sitting hammock swings from the roof, inviting activity and conversation as well as providing a place to relax and read. Elsewhere in the home, transforming furnishings were chosen for their space-saving techniques that offer the ultimate in flexibility. In fact, much of the furniture was built with push, fold and rotate mechanisms to provide various uses. Even the front door folds outward, reminiscent of a spaceship. 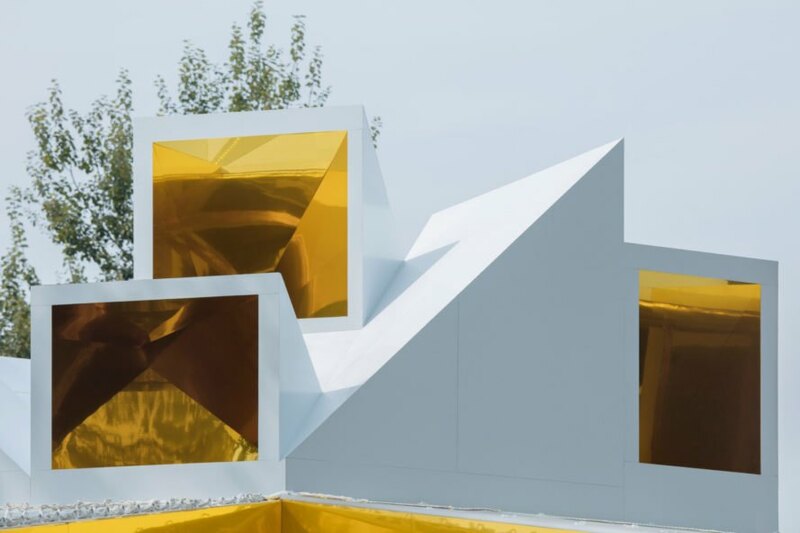 Penda co-founding partner and architect Sun Dayong was inspired by Beijing's traditional hutongs when designing this micro-cabin. The futuristic cabin is left open on one side. A fun hammock hangs from the middle of the ceiling. Reflective gold cladding is found on the interior as well as the cut-outs in the roof. The hammock marks a playful activity zone. Natural light reaches every corner. The open-air concept was meant to connect the interior with the exterior. Gold-clad cut-outs in the roof add a unique touch to the design. The geometric cut-outs make the cabin feel futuristic.